How do you feel about marketing? Does it make you feel stressed or anxious? If it does, it's probably because you aren't getting clients easily from it. As a VA, we need to do many types of marketing every day. The most important thing in our business is getting clients, and we need to put ourselves out there to do it. In a perfect world, we would have clients find us and hire us, but that’s not how it works most of the time. We need to show up in front of them when they need us. Thankfully, it’s not as difficult as it sounds – all you need a is a good strategy that you implement consistently. 1. Set up a marketing plan. A marketing plan seems like a daunting task for some Virtual Assistants – because often planning ahead comes with insecurity. Forecasting is something that isn’t natural to us so it sometimes can be difficult to put stretch goals on paper. But if you dial it back to just doing a marketing plan for the coming month that can bring it into a more manageable frame of mind. Short term marketing planning is a great thing to do, because it makes you think about it more often, and you can stay very close to the goal at hand. Decide what you what to do, and what the steps are that will get you to that goal. Then make sure everything you do points in the direction of that goal. 2. Be very clear on your client’s problems. Many VAs talk about being a Virtual Assistant – in their networking and also in the marketing copy. While it’s very exciting for YOU to know how being a VA works, your clients are not really all that excited about it. What they need to hear you talk about is what you can do to help them in their business. If you provide bookkeeping services, talk about common problems clients have, why they should work with someone to get their books done, and how you have helped other clients. 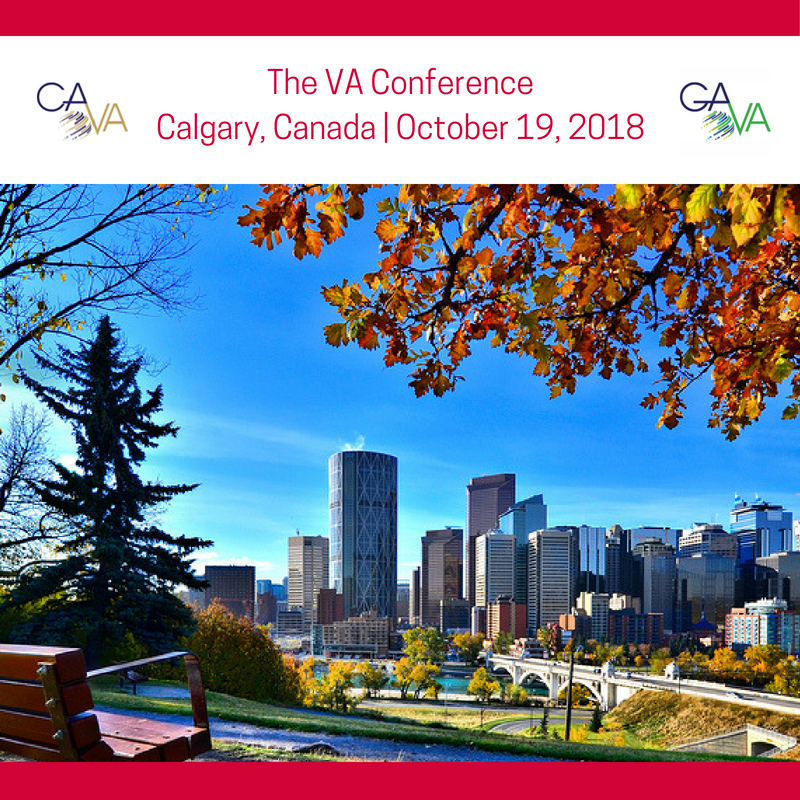 Clients who are struggling with their bookkeeping will notice that message in your marketing far more than anything about being a VA. Focus on what their problems are and you will be putting the right message out there – and your clients will hear it loud and clear. 3. Market your business consistently. 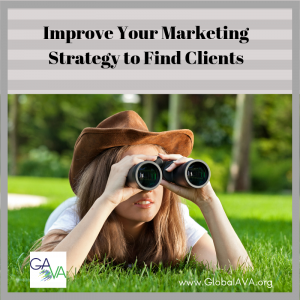 If you are only thinking about your marketing when you are trying to find new clients, and you don’t do any when you are not, you will probably not do very well when you are in need of clients. It can be difficult to fit it in when you are busy – but it’s necessary to keep your name out there consistently. Even if you aren’t looking for a client right now, what if your dream client comes along that is better than someone you are currently working with (maybe they pay more, or they work in an industry you love, or they have more consistent work)? You don’t want to miss working with them because you weren’t out there. Figure out what you can do regularly and consistently and make a plan for the next 30 days to implement it. Make sure your messaging is clear and focused entirely on your client’s problems – and your solutions for them. For more great info about marketing your VA business, check out this article on Getting Clients. There comes a time in every business owner’s life when they run out of things to write about. There are many solutions to this problem. You can hire someone to come up with ideas for you. You can hire someone to write the content for you, too. You can even purchase PLR. These are all great solutions. However, you can also write the content yourself. You just need a little inspiration. Here are five ways to find great article and blog post topics. Once you’ve written down the headlines, replace the keywords with your own. Fill in the blanks. If there are ten headlines on the cover of your magazine, you now have ten articles or blog posts you can write. 2. Jump on a social networking site of choice and read posts in your niche. Visit the pages of your industry guru and read their latest posts and information. Chances are you’re going to find many content ideas. You may take issue or disagree with something someone said. That’s a perfect blog post. You may think that a topic needs to be expanded upon. You may read a comment to a social networking post that is the foundation of an article. Social networking sites are packed with content ideas. You just have to look for them. 3. Read your own blog and review the comments. Skim past the ones that say “Thanks for the information.” Those don’t offer any value to you right now. Instead, look for the questions or the meaty comments. Those are ideal for inspiring content ideas. 4. Read your forum and blog comments on other sites. Often these comments are enough to be an article or blog post all by themselves. Just polish it up and format it for the web and you’re good to go. If the comment or forum post is short, expand on it. Use your feedback to create article and blog content on your website. 5. Make a list. Lists are easy to make and they’re well received online. If you’re struggling to find content ideas, write down three to five list ideas and tackle them one by one. Article and blog post ideas are out there just waiting for you to find them. With a little creativity and inspiration you can turn an unmotivated writing session into a productive afternoon.